Video by Alan Pogue and William Michael Hanks. 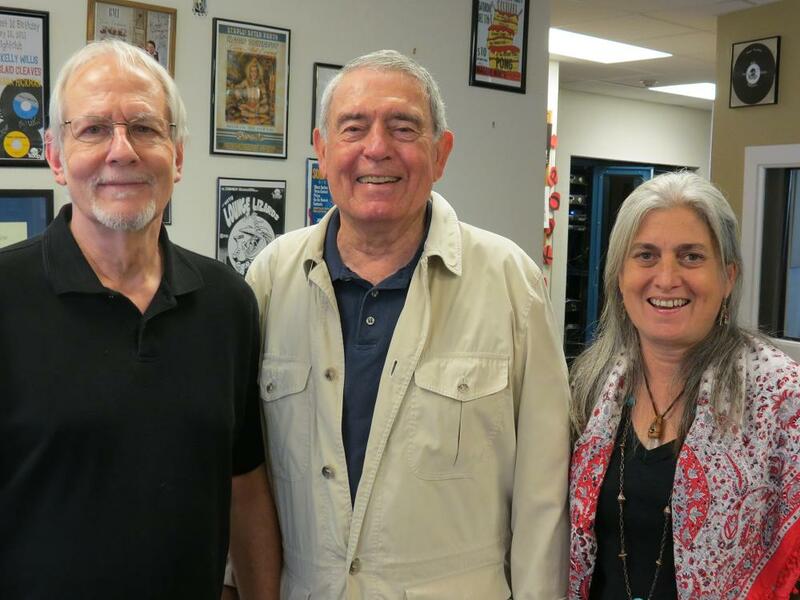 Alan Pogue and Mike Hanks have just posted this excellent video filmed during my Rag Radio interview with legendary newsman Dan Rather and Austin environmental activist Robin Rather. The show — their first-ever father-daughter interview — is one of my all-time favorites from the six-year history of Rag Radio. The incisive, far-ranging, and frequently very funny session was originally broadcast on September 27, 2013, on KOOP 91.7-FM in Austin, Texas. 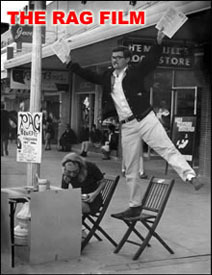 The video was shot by internationally-known documentary photographer Alan Pogue, who was staff photographer for the original Rag, Austin’s pioneering underground newspaper, and was edited by award-winning filmmaker and writer William Michael Hanks. The video can also be found on YouTube. Texas-born newsman and former CBS News anchor Dan Rather, who was recently honored with the prestigious Trustees Award of the National Academy of Television Arts and Sciences, and his daughter, Robin Rather, an Austin-based environmental activist and sustainability advocate who chaired the city’s historic Save Our Springs Alliance, join us in a lively discussion, spiced with amusing anecdotes and personal reflections. Dan talks about his early career in Houston, including his stint as a play-by-play announcer for the minor league Houston Buffs (in road games they “recreated” the on-field action in the studio by reading from a telegraph ticker tape) and his dramatic and innovative coverage of Hurricane Carla in Galveston in 1961 that led to his hiring by CBS News. He also discusses his controversial exit from CBS; his blogging about Aaron Sorkin’s HBO series, The Newsroom; and his take on larger contemporary issues including the increasing corporatization and concentration of ownership in the news business and what he considers to be an endemic lack of courage in today’s news reporting. Robin talks about growing up as the daughter of a famous reporter and media star; about her seminal work in the movement to protect and sustain Austin’s unique environment; and about the daunting challenges — especially to the region’s fragile ecosystem — caused by the city’s current unprecedented growth spurt. And they each reflect on the other’s accomplishments and their close relationship over the decades. Dan and Robin Rather with Rag Radio’s Thorne Dreyer, on left. Photo by Roger Baker / The Rag Blog. Dan Rather, now managing editor and anchor of Dan Rather Reports on AXS TV, went to work at CBS News in 1962 and was anchor of the CBS Evening News for 24 years, from 1981-2005. Born in Wharton, Texas, in 1931, he began his career as a full-time journalist with Houston’s KTRH radio and KHOU-TV. The recipient of numerous Emmy and Peabody awards, Dan joined the illustrious company of Edward R. Murrow and Walter Cronkite when he was honored with the prestigious Trustees Award of the National Academy of Television Arts and Sciences in New York City on October 18, 2013. Rather’s new book is Rather Outspoken: My Life in the News. Dan and his wife, Jean Goebel, to whom he’s been married since 1957, maintain homes in New York City and Austin, Texas. Robin Rather is an Austin-based environmental activist and sustainability consultant. She is the CEO of Collective Strength where she consults on projects involving renewable energy, water conservation, health care, and community values. Robin was chair of the board of the historic Save Our Springs Alliance, established in 1992 to advocate for Austin’s iconic Barton Springs and the Edwards Aquifer ecosystem. Robin was also co-founder of Liveable City, Hill Country Conservancy, and Envision Central Texas, and serves on the advisory board of the Sustainable Food Center. Born in Houston in 1958, she is the daughter of Dan Rather and Jean Goebel. 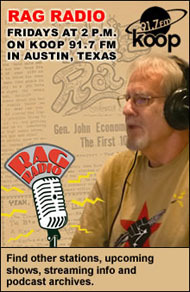 Rag Radio is a weekly syndicated radio program produced and hosted by Thorne Dreyer and recorded at the studios of KOOP 91.7-FM, a cooperatively-run all-volunteer community radio station in Austin, Texas. The show is produced in association with The Rag Blog and the New Journalism Project. Tracey Schulz is the show’s engineer. 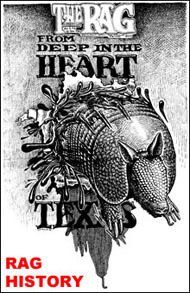 This entry was posted in RagBlog and tagged Alan Pogue, Austin History, Broadcast Journalists, CBS News, Corporate Journalism, Dan Rather, Environmental Activists, Houston History, Interview, Rag Bloggers, Rag Radio, Robin Rather, Save Our Springs, Television News, Thorne Dreyer, Video, William Michael Hanks. Bookmark the permalink.